The aim of this study was to visualise the dynamics and interactions of the cells involved in autoimmune-driven inflammation in type 1 diabetes. We adopted the anterior chamber of the eye (ACE) transplantation model to perform non-invasive imaging of leucocytes infiltrating the endocrine pancreas during initiation and progression of insulitis in the NOD mouse. Individual, ACE-transplanted islets of Langerhans were longitudinally and repetitively imaged by stereomicroscopy and two-photon microscopy to follow fluorescently labelled leucocyte subsets. We demonstrate that, in spite of the immune privileged status of the eye, the ACE-transplanted islets develop infiltration and beta cell destruction, recapitulating the autoimmune insulitis of the pancreas, and exemplify this by analysing reporter cell populations expressing green fluorescent protein under the Cd11c or Foxp3 promoters. We also provide evidence that differences in morphological appearance of subpopulations of infiltrating leucocytes can be correlated to their distinct dynamic behaviour. 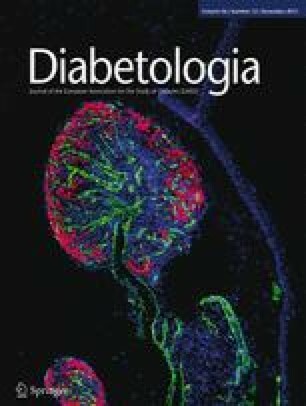 Together, these findings demonstrate that the kinetics and dynamics of these key cellular components of autoimmune diabetes can be elucidated using this imaging platform for single cell resolution, non-invasive and repetitive monitoring of the individual islets of Langerhans during the natural development of autoimmune diabetes. Anja Schmidt-Christensen and Lisbeth Hansen contributed equally to this study. The online version of this article (doi: 10.1007/s00125-013-3024-8) contains peer-reviewed but unedited supplementary material, which is available to authorised users. Imaging data were collected at the Center for Advanced Bioimaging (CAB) Denmark, University of Copenhagen, and we would like to thank Michael Hansen (CAB, University of Copenhagen, Denmark) for his excellent technical assistance. B6 Rag2 −/− was a kind gift from Fred W. Alt (Boston Children’s Hospital, Boston, MA, USA). This work was supported by grants from the European Commission (VIBRANT CP-IP 228933-2), the Danish Research Council, Lundbeckfonden and the Swedish Research Council. LH was supported by a PhD fellowship from the Lundbeck foundation. P-OB is founder and CEO of the Biotech Company Biocrine AB. He is also a member of the board of that company. EI is a consultant of Biocrine AB. AS-C, LH and DH contributed to the conception and design of the experiments; AS-C and LH collected the data; and AS-C, LH, EI, NF-P, UD, SG, ÅL, TDH, AS, P-OB and DH contributed to the analysis and interpretation of the data. All authors contributed to the drafting of the article and revising it critically, and gave final approval of the version to be published.